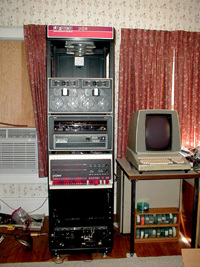 The computer museum rack, partially assembled with a DEC TU/56 tape drive (circa 1970) on top, a DEC RK05 disk drive (circa 1972) in the middle, and a DEC PDP11/45 CPU (circa 1973) on the bottom. 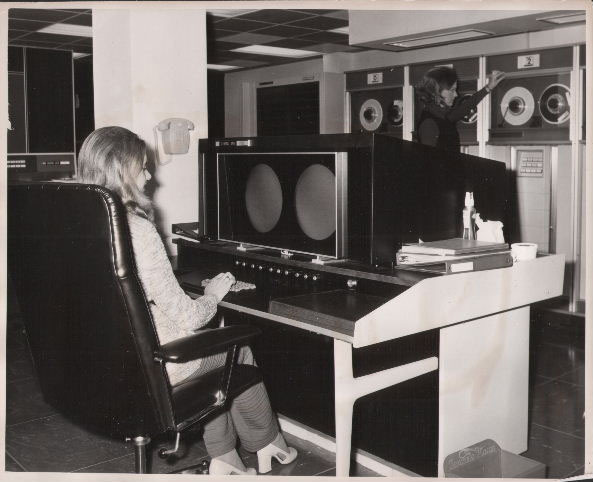 Just to the right of the cabinet, you can see the monitor, keyboard, and CPU enclosure of an Imlac graphics computer (circa 1970). 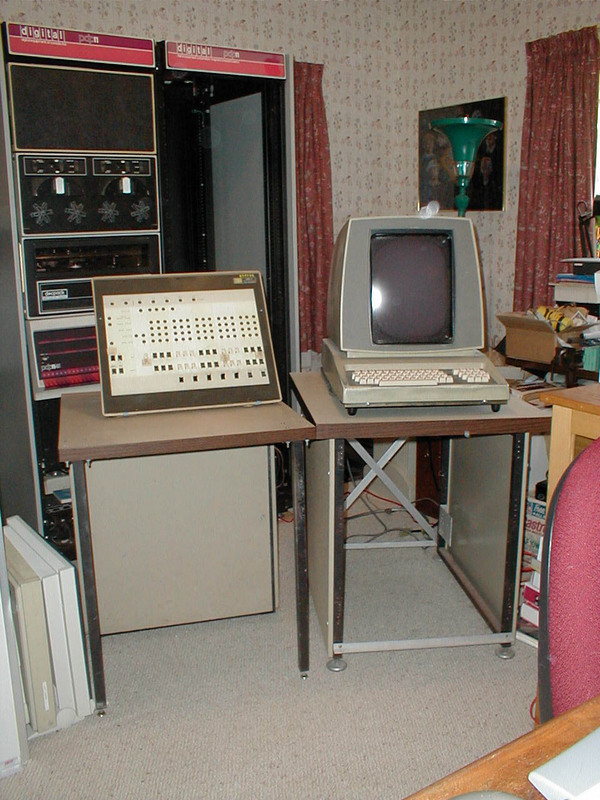 This is a replacement KM11 maintenance board used in the diagnosis of various DEC PDP 11 CPUs and peripherals. The real KM11 is a two board set, as described here. 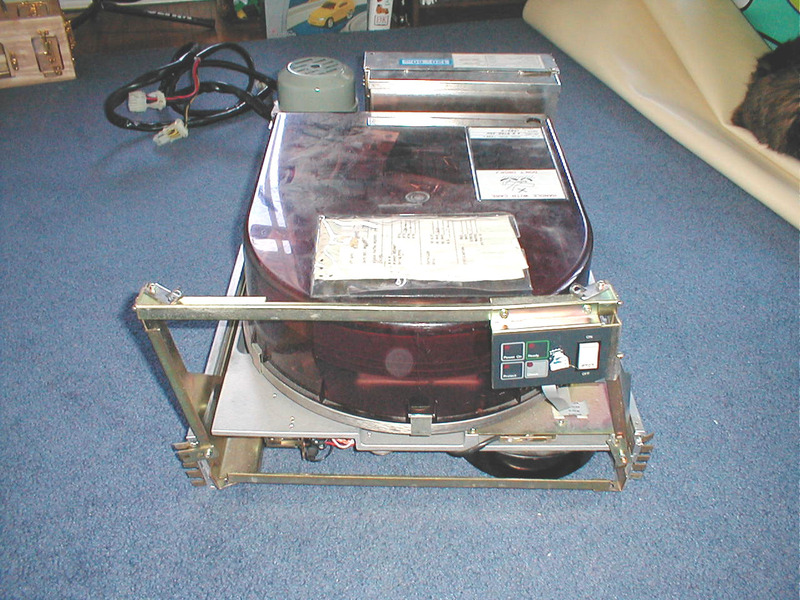 These are very hard to find and so since I needed one to help me in keeping my collection running, I built a replacement based on a design done by Tony Duell. Using his design, I did a quick ExpressPCB printed circuit board layout to make the design easy to build and replicate. My only complaint with ExpressPCB is that they do not offer a gold edge plated edge connector. If you use my PCB layout, then you will want to use 1/8th watt 330 ohm resistors. I got all of my components from Jameco Electronics. You may also be interested in some overlays for the KM11 (KB11-A and KD11-A so far). 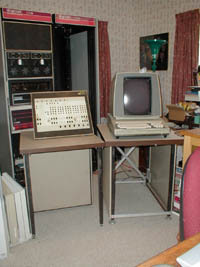 The Imlac PDS-1 (circa 1970) is one of the first graphics computers. 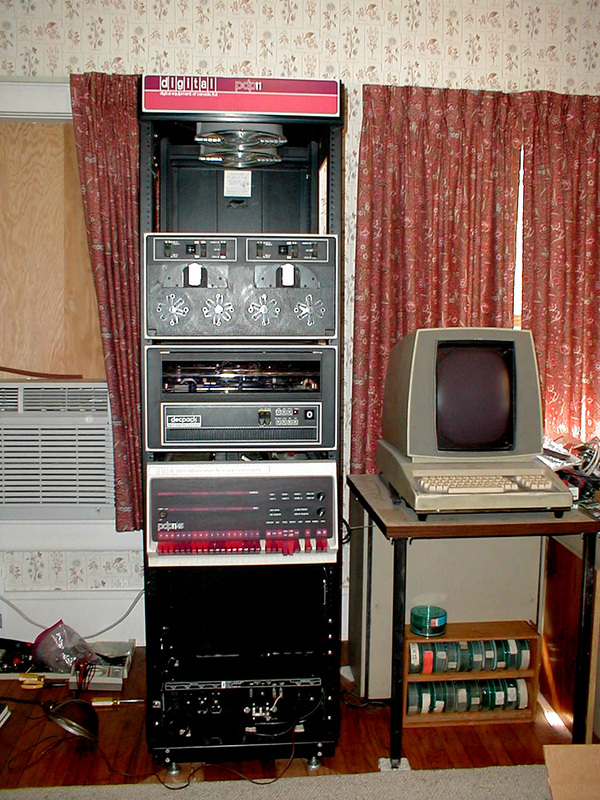 It was a 16 bit main processor with a secondary vector graphics display list processor, both sharing the same core memory. Click here for the anatomy of an Imlac. And here for a library of Imlac software. An Imlac simulator is in the works and will appear here soon as well. 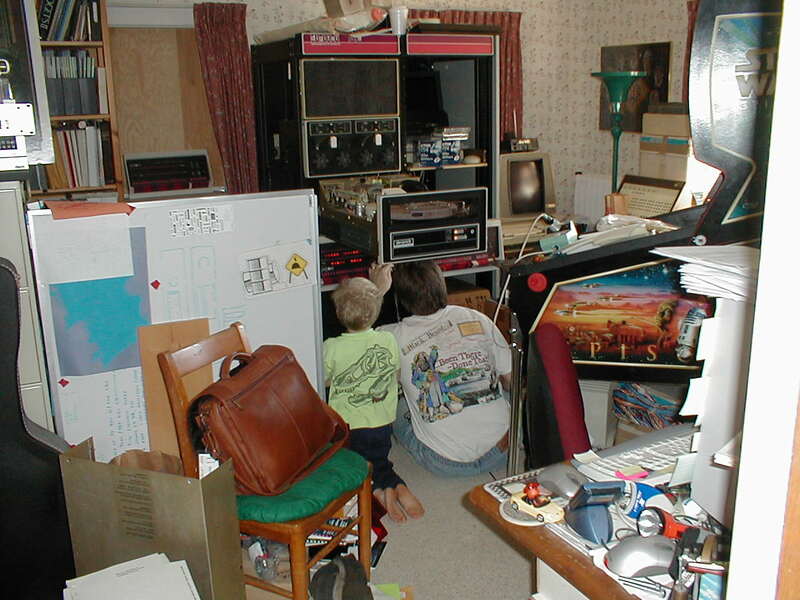 Joel helping dad fix the RK05 attached to the PDP11/45.